Engineering & Technology is one of two STEAM camps offered at ASC this summer. Other Camps are Game Design & Development, Art I, Art II, Filmmaking, Theatre, and Theatre Jr.
Spring is in its early days, but registration is already underway for the Arts & Science Center’s 2019 summer camps. Students ages 7-17 can explore topics such as art, engineering, technology, game design and development, filmmaking, and theatre. Art I is a half-day camp (June 10-14) for ages 7-12. Art II is a full-day camp (July 22-26) for ages 13-17. Both camps include lessons in drawing, painting, printmaking, and sculpture with exploration of current ASC art exhibitions. Students will create 2D and 3D projects, and focus not only on artistic methods and working with different media, but also on the creative process itself. ASC Public Programs Coordinator Shakeelah Rahmaan will lead the art camps with workshops by guest instructors. Art I will feature Puddle Painting with Jeannie Stone, and Art II will feature Build Your Own Altar with Suzannah Schreckhise. Both artists have works featured in the upcoming Our Front Porch exhibit. In Filmmaking Camp (July 8-12), students ages 7-17 will experience all of the technological, creative and artistic aspects of filmmaking. They will explore storytelling as an art form, by developing a film idea, shooting the video, recording audio and editing their creation. Eva Belle, mass communication instructor and debate coach at the University of Arkansas at Pine Bluff, leads the camp. ASC Digital Media Specialist Ashley Smith will lead the two STEAM camps, which are for ages 13-17. Through hands-on building and experimentation, Engineering & Technology (July 15-19) students will be introduced to electric circuits, LEDs and switches, stop-motion animation, computer coding and apps, conductors and semiconductors, programming motors and app development. Game Design & Development (July 15-19) students will use virtual development to learn the fundamentals of creating a game through computer programming and animation, creative problem solving, mathematics, storytelling and teamwork. Students can enroll in both half-day camps for a full day of STEAM learning with a discounted fee. Justin Pike, Artistic Director for The Studio Theatre in Little Rock, is back to lead the theatre summer camps. Theatre Camp is full-day, month-long (June 3-28) immersive camp for students ages 13-17. They will learn all aspect of theater production: from directing to acting, from scenery construction to light & sound design. 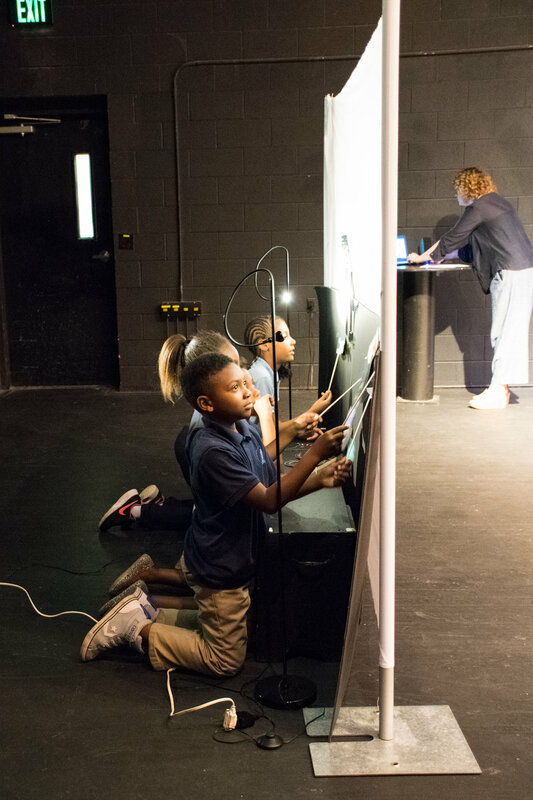 Through theater, students will practice creativity and innovation while they improve their skills in performance, collaboration, and technology. The camp will culminate in a junior production. Theatre Jr. Camp, a half-day, two-week (June 17-28) camp for ages 7-12, will introduce the basic concepts of storytelling, acting technique, and production tech. Students will have fun with lively drama games designed to support the budding thespian in your student. The camp will culminate with a skit performed for family and friends. A limited number of scholarships are available; eligibility is based on financial need, including household income and household size. The deadline for submitting scholarship applications is 10 days before the first day of the camp begins, but parents are encouraged to submit applications as soon as possible. Scholarship application forms are available online or picked up at ASC’s front desk. Windgate Foundation, Ben J. Altheimer Foundation, and the June and Edmond Freeman Endowment are among the organizations graciously contributing to ASC’s scholarship fund. Extended care is available for parents and guardians who need a little extra time to pick up their children from camp. Extended care lasts until 1 hour past the camps’ designated end time. Cost is $5 per day preregistered, or $8 per day unplanned. Advanced registration is required for all camps. Camp registration and more details are available at the summer camp web page. For more information, email ASC Public Programs Coordinator Shakeelah Rahmaan at srahmaan@asc701.org or ASC Theatre Education Coordinator Lindsey Collins at or lcollins@asc701.org, or call 870-536-3375. A $2.2 million grant from the Windgate Foundation will help fund renovations to convert a building owned by the Arts & Science Center for Southeast Arkansas Endowment Fund into a multi-use space to support The ARTSpace for Creative Thinking & Entrepreneurship. Renovations of the historic commercial building at 623 S. Main St. in downtown Pine Bluff are targeted to begin in June 2019, with the goal of opening by the end of 2019. ASC Executive Director Dr. Rachel Miller announces during the Dec. 1 Potpourri Gala that the Arts & Science Center has received a $2.2 Windgate Foundation grant to renovate "The Annex” in support of The ArtSpace for Creative Thinking & Entrepreneurship. The Arts & Science Center for Southeast Arkansas has received a $2.2 million grant from the Windgate Foundation in support of ASC’s expanded community engagement initiative, The ARTSpace for Creative Thinking & Entrepreneurship. ASC Executive Director Dr. Rachel Miller made the announcement Saturday, Dec. 1, during the Potpourri Gala fundraising event held at ASC. The grant will make it possible for the Arts & Science Center to renovate and utilize the building known as “The Annex” as a multi-use space to support The ARTSpace project. The ASC Endowment Fund owns the historic two-story commercial building at 623 S. Main St. near the Arts & Science Center. “We are immensely grateful to the Windgate Foundation for their long-time support and investment in the Arts & Science Center’s public arts education programming,” Miller said. The Windgate Foundation is a private grant-making foundation with primary funding interests including projects that promote visual art and crafts in the United States. New programming in the updated space will be funded by grants, designated donations and supported by in-kind partnerships. The renovation will provide designated office and studio spaces for an arts education community support partner and extended teaching artist residences; more classrooms to simultaneously accommodate multiple school groups, support theatre youth workshops, and art entrepreneurial-themed workshop series; a public gallery space for University of Arkansas at Pine Bluff art students, area school youth and regional artists; and a community gathering space to host ASC’s arts-integrated healthy living initiative and monthly art night events. Future programming will be in partnership with the UAPB’s Economic Research and Development Center (also known as The Incubator), area schools, and The Delta Consortium for Arts and Innovation. For 50 years, ASC has provided neighborhood stabilization. The institution’s current location has served as a cultural anchor for downtown Pine Bluff for almost 25 years, Miller said. The ARTSpace will contribute to the revitalization of downtown and serve as an already established entry point for the planned development of an arts and entertainment corridor. The target date for renovations to begin is June 2019, with the goal of opening The ARTSpace by the end of 2019, Miller said. SPECIAL GUEST INSTRUCTOR YUNRU SHEN MODELS ONE OF HER LATEST DESIGNS, A MODERN TAKE ON THE TRADITIONAL QIPAO (or CHEONGSAM) DRESS POPULAR IN CHINA AND THROUGHOUT THE WEST. Shen explained of the concept behind her dress' design: "It is inspired by the beautiful musical tones of the Chinese ancient stringed instrument, the guzheng. I learned to play this instrument during my childhood. It has deep meaning for me. Musical tones are very similar to daily life — sometime we are up, sometime we are down. At end, it is our beautiful and meaningful life with happiness and pain." The Arts & Science Center invites the community to explore traditional and modern Chinese fashion during its next adult education class, “Sumptuous Silks and Ancient Traditions: Exploring Chinese Fashion,” on Thursday, Sept. 20, from 5:30-7:30 p.m.
Special guest Yunru Shen, fashion designer and instructor at the University of Arkansas at Pine Bluff, and will lead an engaging discussion on traditional and modern Chinese fashion. Participants will then have their turn to be creative as ASC Public Programs Coordinator Leonor Colbert guides them through making their own hand fans. Inspired by a variety of traditional Chinese hand fan designs, the silk brocade fans can be personalized to the makers’ taste. Participants can also enjoy a complimentary wine or beer while making their fans. No experience is required, and all materials will be included. Advance registration is required and attendees must be at least 21 years old. The cost is $10 for ASC members or $15 for nonmembers. Shen, who is originally from Shanghai, China, is a faculty member in UAPB's Merchandising, Textiles, and Design Program. Shen will also show her own spring/summer 2019 collection. “I created my newest fashion collection with new qipao style. It is a new Oriental/exotic American style,” she explained. She plans to wear the modern silk qipao dress for the event. "Sumptuous Silks and Ancient Traditions" Attendees will be guided in making their own personalized fans like the one shown. Inspired by a variety of traditional Chinese hand fan designs, the silk brocade fans can be personalized to the makers’ taste. They can also enjoy a complimentary wine or beer while making their fans. The qipao (and the similar cheongsam) first became popular in 1920s Shanghai. Characterized by its close fit and brocade fabric, the dress style can still be seen in 21st-century eastern and western fashions. Shen has studied and worked in fashion on three continents. She earned a Bachelor of Design degree in fashion and apparel design in 2010 at Raffles College of Design and Commerce in Sydney, Australia. She worked in Shanghai — China’s the fashion and economic center — at KISMET+, a women’s fashion studio. She moved to the United States in 2011 to study at the Savannah College of Art and Design in Georgia, where she graduated in 2014 with a Master of Fine Arts degree in apparel design. She has also worked in a design team for Edun Americas Inc., a New York City-based fashion brand founded to promote fair trade in Africa by sourcing production within the continent. Shen joined UAPB in 2014, and teaches classes covering textiles, apparel design, fashion illustration, fashion buying and merchandising, and the fashion industry. Visitors show off their pedal-art creations they made during Family FunDay on Aug. 11, 2018. Pedal-powered art is just one of the many activities planned during ASC's Tinkerfest 2018, to be held 1-3 p.m. Sept. 8. Tinkerfest, the Arts & Science Center’s annual maker-centric festival, returns Saturday, Sept. 18, from 1-3 p.m. This year, we will explore the connections between the maker movement and health with a variety of fun and educational activities for the whole family. “We’re doing all kinds of different things that involve tapping into creativity while exploring physical fitness and nutrition,” said ASC Public Programs Coordinator Leonor Colbert. Admission to Tinkerfest and all activities are free. Tinkerfest 2018 is sponsored by the Arkansas Art Council, Blue & You Foundation, the Discovery Network, and the Pine Bluff Area Community Foundation. ASC is partnering with the Pine Bluff Jefferson County Library System, Tour de Bluff, and the Museum of Discovery in Little Rock for the event. Highlights of this year's activities include: A hands-on cooking workshop; pedal-power stations for visitors to create art, blend delicious smoothies, and see their muscles turn energy into light; “bike rodeo,” and Yoga for Kids. Thanks to a grant from the Blue & You Foundation, special guest Faith Anaya of Kids Cook! (a nonprofit organization based in Little Rock) will lead a cooking workshop for young people ages 6-13. There will be two separate sessions — a 1 p.m. session for ages 6-9, and a 2 p.m. session for ages 10-13. Each class can accommodate up to 12 children. Participants must sign up at the event — first come, first serve. Bicycling is a natural bridge between health and tinkering, and Tinkerfest 2018 features a plethora of fun pedal-related activities. Visitors can hop on one of the bikes to create a pedal-powered painting. How do you create art with a bike? The participant powers the bike, and through centrifugal force, paint “flings” outward from the center of the drum, creating a colorful swirling pattern. A sheet of paper is lowered into the floating paint to create a piece of art. Visitors who bring their own bikes to Tinkerfest can create even more art. An attachment holding a large piece of chalk is connected to the back of a bike, and the visitor can pedal around to a draw vibrant patterns onto the asphalt. At the bike power station, visitors can see how their pedaling generates electricity by using a bike connected to an LED tower. Put together a variety of ingredients to create a unique smoothie recipe and blend it using the bike at the pedal-power smoothie station. Volunteers from Tour de Bluff (Pine Bluff’s main annual bike event) will host a “bike rodeo,” or trick riding on BMX bikes. They’ll also share tips on bike safety, and how people in the area can get out and ride their bikes more. Visitors will even be able to play the classic video game “Donkey Kong” using bananas, lead by Museum of Discovery staff. The fruit is converted into a controller with a Makey Makey — a kit which turns ordinary objects into touchpads. “It will be like playing a video game but instead of sitting down and controlling it with your thumbs, you’re controlling your character in Donkey Kong with your whole body — moving around, jumping, touching things,” Colbert explained. In addition to the Tinkerfest activities, ASC’s current exhibitions will be open. They include: Interactive exhibit Imaginate! in the International Paper Gallery, Creative Construction Zone in the Simmons Gallery, Small but Mighty in the William H. Kennedy Jr. Gallery, UAPB & ASC: Five Decades of Collaboration in the Ben J. Altheimer Gallery, and Elsie Mistie Sterling: Pencil and Persistence in the Catherine M. Bellamy Theatre Hall. 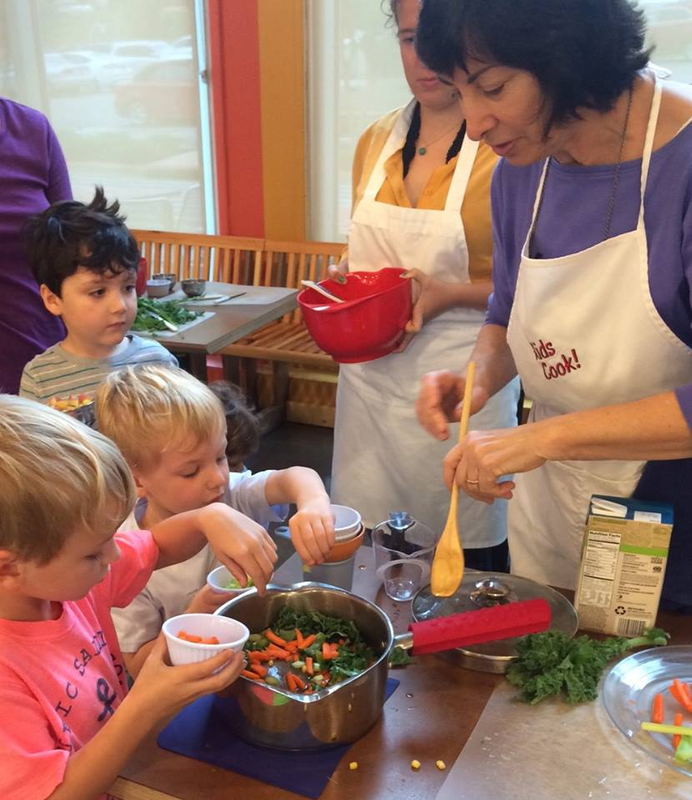 Hands-on cooking class for kids. Note: Participants must sign up. First come, first serve. Play “Donkey Kong” using a banana and your whole body. Make your own smoothie using a bike-powered blender! Make a Tinkerfest 2018 button and do a health-inspired take-and-make activity. Trick-riding demos from area cyclists. Pedal-powered spin art, LED tower station. Special guest Faith Anaya of Kids Cook! (a nonprofit organization based in Little Rock) will lead a cooking workshop for young people ages 6-13. An example of the groovy art created using pedal power! Special guest instructor Nick Davis of Eugene, Oregon, teaches jazz and swing dance moves during ASC's summer program "Swing, Art, and all that Jazz," held July 30-Aug. 1. The program — open to students in seventh, eighth, and ninth grades — was funded by a grant from the Arkansas Department of Education. Students were immersed in the jazz and swing culture of the 1920s, ’30s, and ’40s during ASC’s recent “Swing, Art, and All That Jazz” summer program. The camp, held July 30-Aug. 3, introduced seventh-, eighth-, and ninth-graders to the dances, music, and culture of this period. Although dance and music were central, the camp wasn’t all about performance. The camp also incorporated art, history, and culture of the era — particularly pertaining to African-Americans — along with videography, into a multidisciplinary program which culminated in a video the students shot and edited themselves. "Untitled (Dancers)," Palmer C. Hayden, Watercolor and paper, 1927. From the Permanent Collection of the Arts & Science Center for Southeast Arkansas. 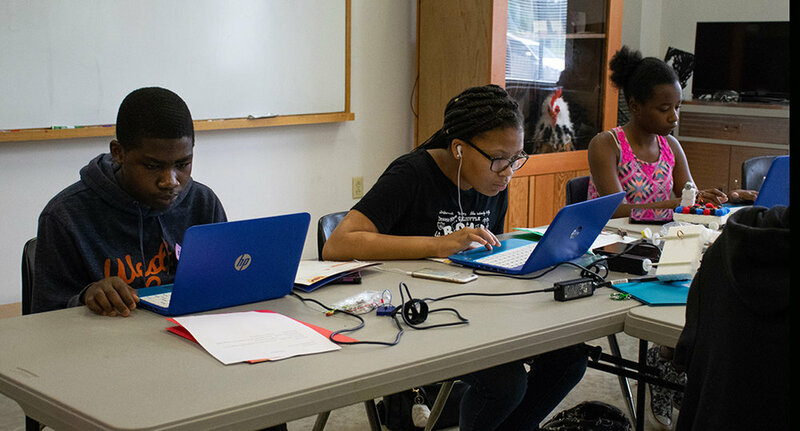 The camp was made possible by a grant from the Arkansas Department of Education, through its Academic Enrichment for the Gifted/Talented in Summer (AEGIS) program. The AEGIS programs provide unique learning opportunities in specific areas for gifted students in Arkansas. “Swing, Art, and All That Jazz” was one of eight AEGIS programs funded for 2018. The camp was open to students in Arkansas at no cost to them. ASC welcomed special guest instructor Nick Davis of Eugene, Oregon, for the week. Davis is founder of a nonprofit swing dance organization, Track Town Swing, in Eugene. He is also a Frankie Manning Ambassador with the Frankie Manning Foundation, a nonprofit organization dedicated to the preservation and instruction of traditional swing dancing. 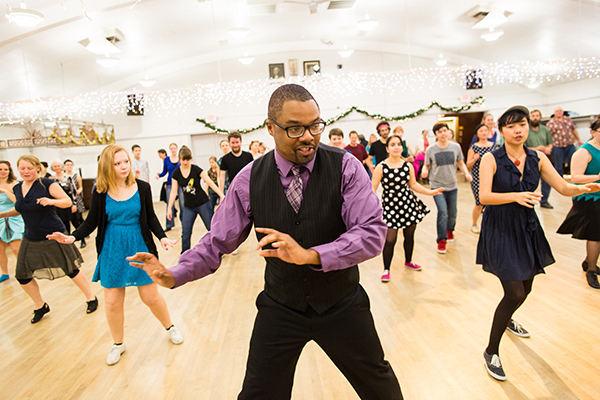 Davis has traveled nationally and internationally to teach and DJ at swing dance events. A swing and jazz era painting from ASC’s Permanent Collection served as inspiration and a point of context for the class. 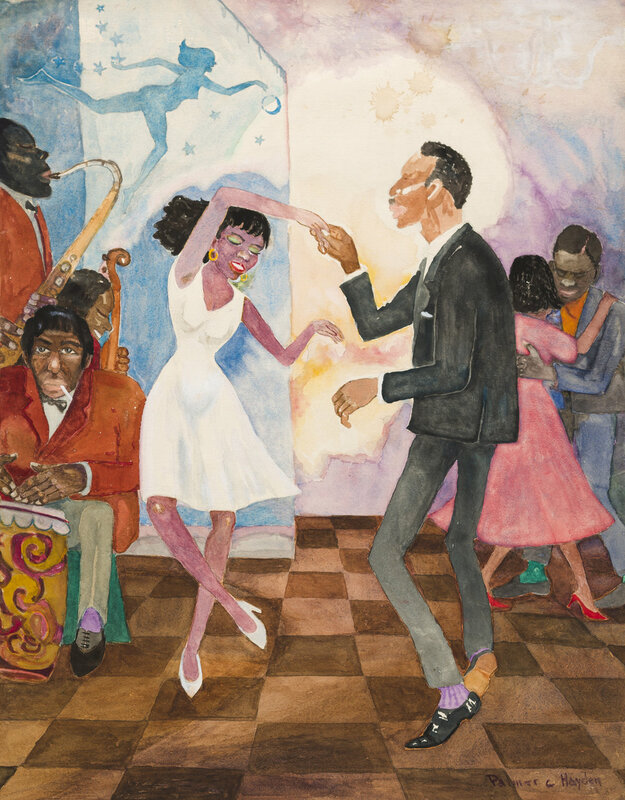 Palmer C. Hayden’s 1927 watercolor “Untitled (Dancers)" depicts two African-American couples dancing with a swing and jazz band. Note: “Untitled” (Dancers) is on display now through Oct. 27 in ASC's William H. Kennedy Jr. Gallery. Each morning, the students learned a new dance style or routine, and in the afternoon, they discussed it as a group and decided what was the most interested part of what they learned that day — both in terms of the dance and the contextual information that they learned about it, ASC Public Programs Coordinator Leonor Colbert explained. The students then split into two groups. One group returned to the stage with Davis to perfect the final choreography and record themselves performing the dance moves they learned earlier that day. The second group created a script, providing interpretive context for that particular dance move. Then they audio recorded themselves reading the script. With the support of ASC Digital Media Specialist Ashley Smith, both groups came back together to edit the video and audio clips. By the end of the week, they had completed a 3-and-a-half minute video that not only demonstrates dance moves they learned, but provided interpretation about African-American dance history, especially related to the period most relevant for the 1927 Hayden painting. The first day of camp also included an art and behind-the-scenes tour with ASC Curator Dr. Lenore Shoults. The tour provided context on visual art as a means of working through challenging ideas and some of the politics of representation, especially art depicting African-Americans, Colbert said. The discussion continued Tuesday with guest speaker Jimmy Cunningham Jr., CEO of the Delta Rhythm ‘n’ Bayous Alliance and author of two books focusing on southeast Arkansas’ musical and arts cultural history and heritage. Cunningham, a Pine Bluff native, discussed regional connections between swing music, Delta blues, and hip-hop music. He also spoke on how music has always been a means of working through and expressing intense emotion. The students also created individual works of visual art inspired by the pieces they saw during their curatorial tour. They could choose to either make a figurative work of art (like the Hayden watercolor) or a more abstract work of art. Unlike many dance-based programs, there was no public performance. Colbert, a longtime dancer herself, developed the curriculum and program proposal. Colbert also saw the potential for the program to introduce weightier topics. “I particularly wanted to do this kind of camp that was focusing on interdisciplinary aspects, using dance and music as an entry point for larger conversations, especially as it relates to race, race representation, commodification of racial art and how it is consumed, and the power dynamics that come into play with African-American art forms,” she said. “Because in recent years, in the jazz and swing dance community nationally and internationally, there have been a growing momentum in the conversation about race and racism in the dance scene because it is a historically African-American art form, that is largely appropriated and performed by white people. “So I felt that was something that was really important to a large community of artists, jazz dancers and jazz musicians, and I thought that the Arts & Science Center was uniquely well-positioned to start that conversation,” she said. Nick Davis’ love for swing and jazz dance has taken him beyond the U.S. borders, as far away as Sweden. His interest began in 1998 in Eugene after he started taking hip-hop and R&B dance classes. Those classes led him to other styles and, eventually, Lindy Hop swing. “I found out that I really liked that kind of music,” he said. Noticing his interest, his dance teacher told him there was a fellow teacher in town who specializes in swing. Denise Steele was a prominent teacher on the scene in the early 2000s, and would bring swing dance pioneer Frankie Manning to Oregon to teach workshops. Manning is widely considered the grandfather of Lindy Hop. Although Manning was in his late 80s when Davis began taking class, he was still very active in the dance community and still teaching workshops. Davis connected to swing and jazz in a way that he didn’t with more contemporary dance and music styles. After the swing dance scene in Eugene faded, Davis returned to performing more contemporary jazz styles and hip-hop dance, he said. After Manning died in 2009 at age 94, Davis realized he wanted to return to the older dance styles. Davis was looking for ways to improve his teaching and applied for and was awarded the Frankie Manning Ambassador Scholarship, which included a three-week trip to Sweden, site of the world’s largest vernacular jazz dance camp. “After that, I felt very inspired,” he said. From that opportunity, they were able to build up the scene in Eugene, and right now, Track Town Swing hosts five classes a week and regular dances. Davis’ swing and jazz expertise goes beyond the dance floor. Although he still teaches quite a bit, he mostly works traveling as a DJ. Students in the Arts & Science Center’s shadow puppet program shared the product of their work with family and friends May 23 during Family & Community Night at ASC. The evening was a culmination of a 12-week after-school theater program with students from the Boys & Girls Club. The program was facilitated by Leonor Colbert (above), ASC Public Program Coordinator, and Lindsey Collins, director for "Sister Act," ASC's summer musical. The King Foundation grant will help to support ASC's youth theatre-immersion program. The Arts & Science Center for Southeast Arkansas has received a grant of $35,000 from the Carl B. & Florence E. King Foundation in support of ASC's expanded youth theatre-immersion program, "The Stage," ASC Executive Director Dr. Rachel Miller announced June 13. "The Stage" is a makerspace for innovation and creativity through theatre. students in The Boys & Girls club get ready to show off their shadow puppetry for family and friends at ASC on May 23. Building upon ASC’s established STEAM (Science, Technology, Engineering, ART, and Math) programming foundation, “The Stage” takes a holistic approach to theatre by engaging students in all aspects of theatre: directing, acting, playwriting, scenery construction, costume design, light and sound design, stage management, playbill design, and marketing and promotion of productions. All components are considered STEAM learning. By incorporating technology, students will learn coding and circuitry for scenery special effects, audio and film for documenting, and basic graphic design — all which ASC already provides through our programs. Involving youth in community arts programs provides opportunity to cultivate civic engagement, which benefits the community at large; develop practical and personal skills considered instrumental in academic and career success, such as creative thinking, self-confidence, identity building, problem solving, collaboration, communication skills, and valuing constructive feedback, and ensures access to the arts for youth from low-income families who don’t possess the means to participate in programs in arts-resource rich regions of Arkansas. 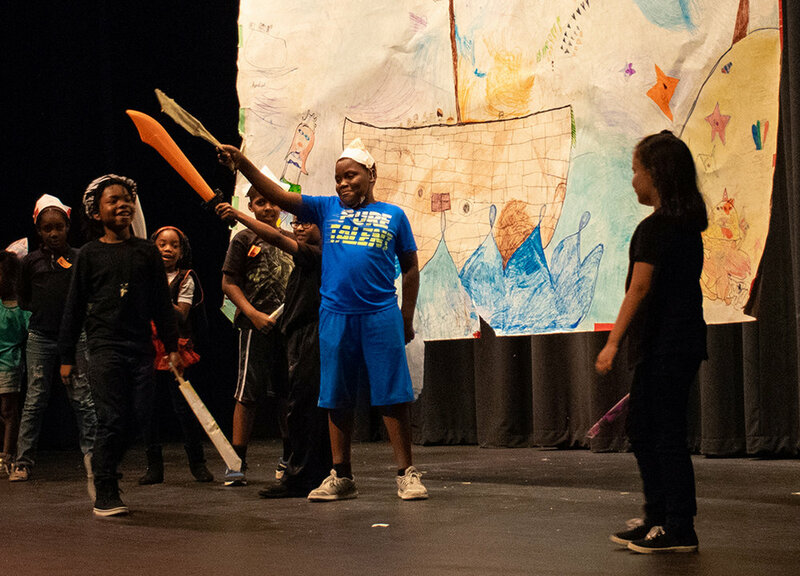 ASC leverages funding from local and state grants, sponsorships, and foundations to provide half and full scholarships for “The Stage” summer program for ages 7-17. The all-day, month-long camp kicked off Monday, June 18, and culminates in an all-youth production of “It’s Not Ugly ... It’s Art!” on Friday, July 13, and Saturday, July 14. In addition to the summer program, “The Stage” offers professional development workshops, internships, and free after-school theatre programming. 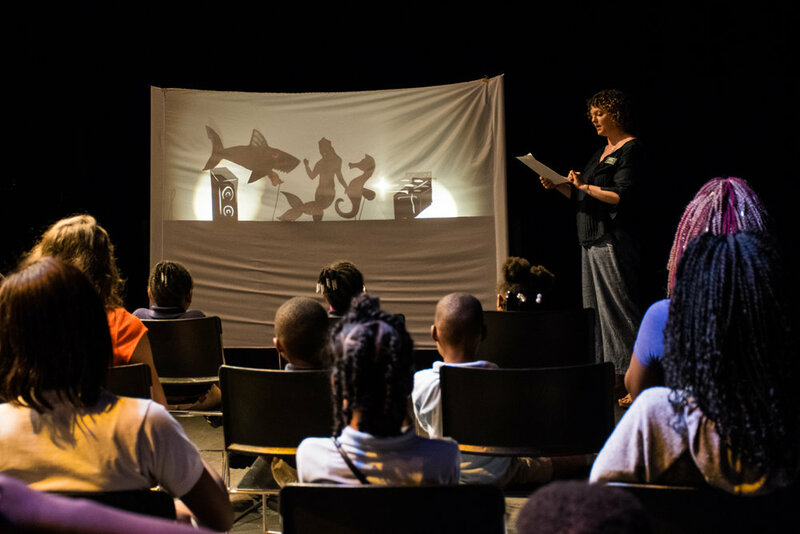 This spring, Leonor Colbert, ASC Public Program Coordinator, and Lindsey Collins, director of ASC's summer musical production of "Sister Act," led the Boys & Girls Club 12-week shadow puppet program. The King Foundation grant will assist the growth of ASC’s scope of community outreach through “The Stage” project. Starting this fall, programming will include an in-school component, a “digital” tool box for educators, and regional outreach. ASC is immensely grateful for the King Foundation's support of our endeavors to provide access to the arts for everyone. Carl B. and Florence E. King started the foundation that bears their names in 1966. Since then, the King Foundation has distributed more than $64 million to agencies operating in Texas and Arkansas while maintaining the legacies created by Carl “Big Jim” and Florence “Meemaw” King and their daughter, Dorothy. 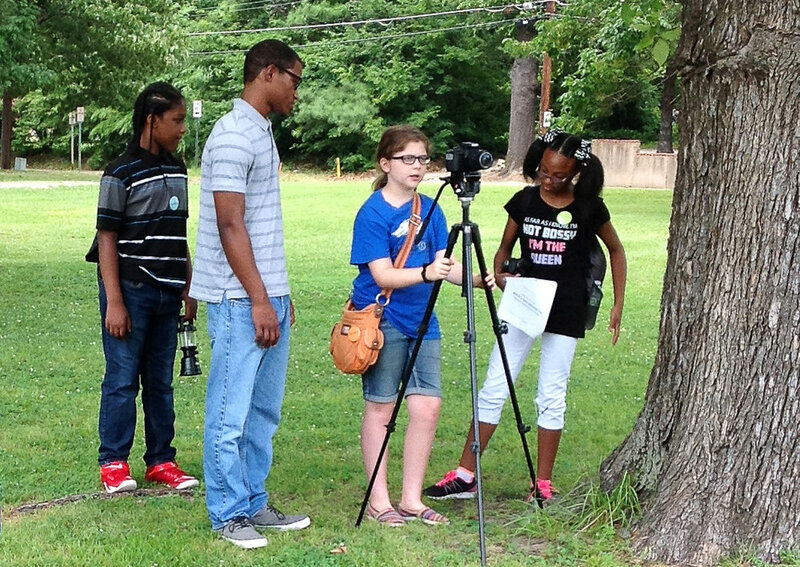 Students create their own short films during the Arts & Science Center for Southeast Arkansas’ filmmaking camp in 2017. The 2018 filmmaking camp for ages 7-17 will be held July 16-20. Children and teens have several options for fun and educational activities this summer at the Arts & Science Center for Southeast Arkansas. ASC is hosting a slate of camps for students ages 6 to 17 in art, engineering and technology, game design and development, theater, filmmaking, and even swing dance. Through the generosity of the June and Edmond Freeman Endowment, Simmons First Foundation, Windgate Foundation, Ben J. Altheimer Foundation and Synergy Forum Inc., ASC can provide full and partial scholarships for students to attend this year's summer camps. 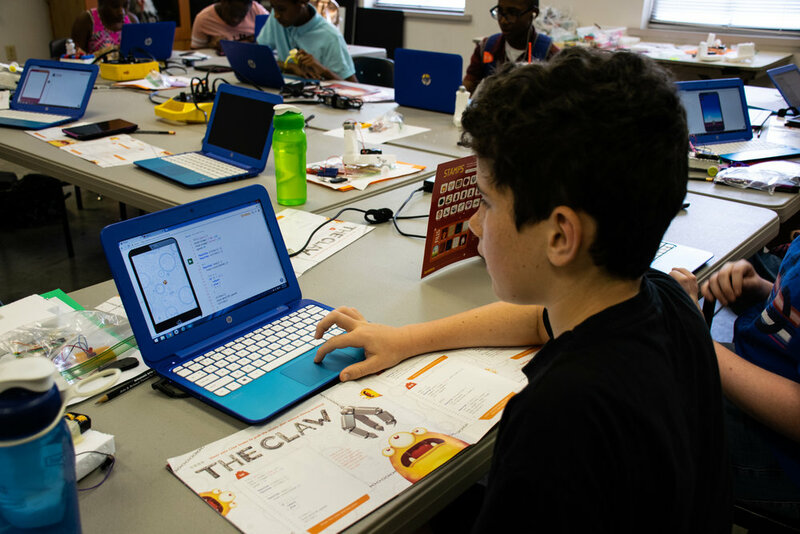 Students can enroll in both half-day technology camps for a full day of STEAM learning and a discounted fee. Their month of hard work will culminate in the production of a one-act play, Gary Ray Stapp’s “It’s Not Ugly ... It’s Art!” with public performances Friday, July 13, and Saturday, July 14. Eva Belle, University of Arkansas at Pine Bluff Mass Communication instructor and debate coach, will lead the Filmmaking camp. Students ages 7-17 will explore storytelling as an art form, develop a film idea, shoot video, record audio and edit their creation. They will be immersed in both the technology and the creative and artistic aspects of filmmaking. “The summer camp will be composed of educational and fun creative activities that we’re sure your child will enjoy,” Belle said. “They will learn the logistics of acting, storytelling and filming." Special guest instructor Nick Davis will lead the “Swing, Art and All That Jazz” camp. Interested students must apply to this camp. If selected, this camp is provided at no cost to the student. In the “Swing, Art and All That Jazz” camp, made possible through a grant from the Arkansas Department of Education, students will explore the living traditions of swing dance and music. Students will learn a different style of swing dance each day of camp and produce a short video about the history of swing. Special guest instructor Nick Davis is an ambassador with the Frankie Manning Foundation, a nonprofit organization dedicated to the preservation and instruction of traditional swing dancing. Davis has traveled nationally and internationally to teach and DJ at swing dance events, and founded Track Town Swing Club. This camp is for students in seventh, eighth and ninth grades during the 2017-18 school year. Participants do not need to be in gifted and talented programs at their school to apply. If selected, this camp is provided at no cost to the student. For full descriptions and dates of the camps, please visit the summer camp webpage. Advance registration is required for all camps.